From the timestamp, footage from 16:37:15 to 16:39:50 is missing. Also fire seen below the car on the road looks suspicious. My 2005 submerged Safari TCIC caught fire 3 times post that in the next 5 years of ownership. Always an electrical fault in switch or relay while I was driving. Had to stop the car and manually rip and throw the respective parts away. (From the driver side door pad or under the driver seat relays or engine bay fuse box) I did have lots of accessories as well. Learning how such fires spread later I realize how lucky I was. But in a new car like this with recent history of verna it raises serious doubts, especially if with no accessories. I feel it calls for the manufacturer giving a full refund. Last edited by ACM : 22nd January 2019 at 01:57. IMO a certain part of the video which actually shows how the fire started seems to be cut out. Since the video suddenly shows a big and no footage of the fire starting. Also if you see the shadow of the tree cast due to the sun, you will see it abruptly shift. My guess is at least 5 to 10 mins has been cut out (Refer to 0.02 sec of the video footage). Last edited by skrules : 22nd January 2019 at 11:31. 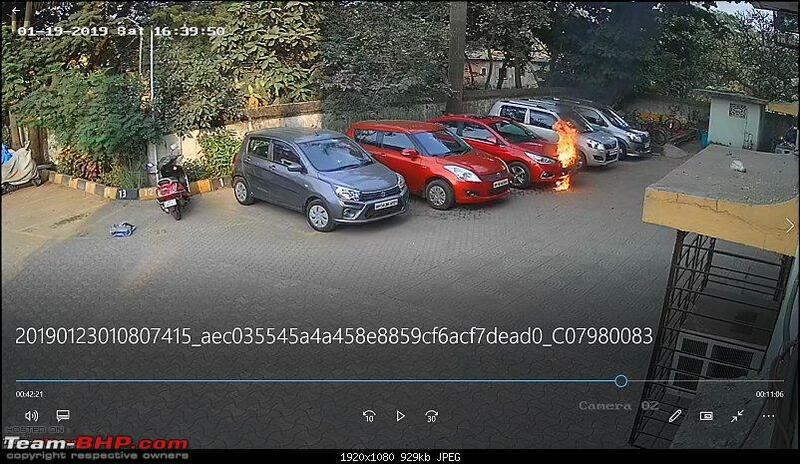 It can happen on cctv footage which records on motion detection, small motion don't trigger recording depending on the sensitivity the DVR system is set to. This is done to maximise cctv recording/storage time. 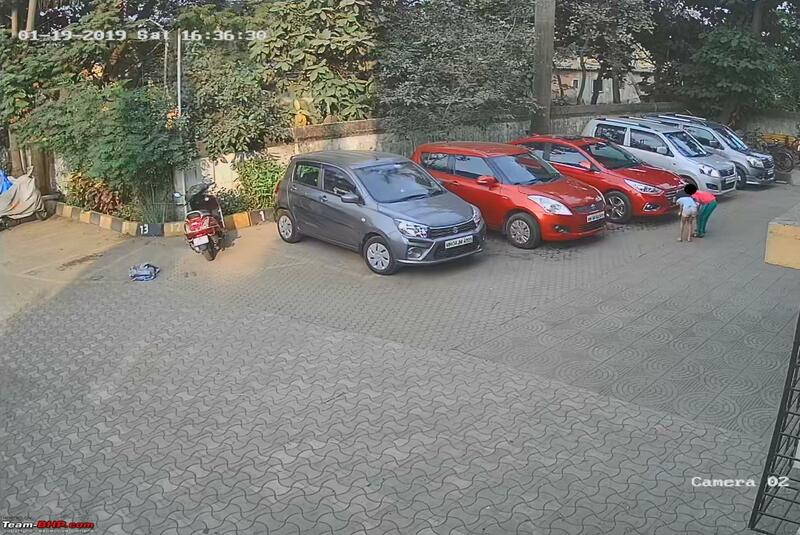 PS: I haven't seen the cctv footage to see if that is the case. EDIT: just saw the YouTube clip, it seems that it's a simple case of lack of motion in frame before cctv actually starts to record the feed. 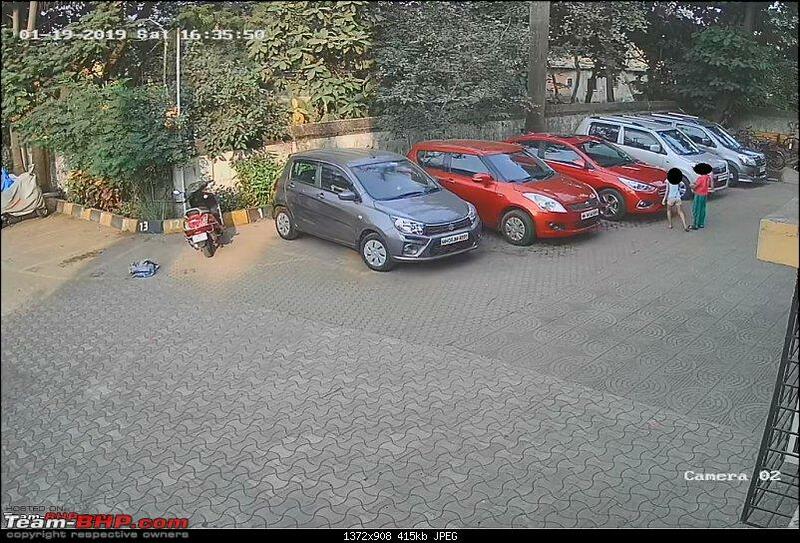 the footage isnt edited or clipped, the CCTV cameras work on motion detection to maximize efficiency of data stored. The initial flames must not have been good enough to trigger recording and the frames remains unchanged, hence almost two minutes of footage did not get captured. the flames coming from the floor are from the molten plastic that fell from inside (?) or from the bumper. 1. an FIR has been registered and a copy of it will be submitted to the insurer. 2. the car has been towed to sreenath hyundai service station. My friend finally got access to the complete CCTV footage, and it revealed this was a sabotage! The case is under investigation now. Thank you for your inputs and concern. Thank you for the update. And WOAH! I mean, sabotage is one of the possible conclusions that one might derive from seeing a situation like this, but I didn't actually expect it to be the real cause. Any further updates during today afternoon? Please keep us updated, this is a very interesting case, and unless it is found to be something very personal, we'd like to know every update on it. Am extremely disappointed to update that this was an act of arson . What's worse, it was by two young kids - a boy & a girl who haven't even seen teenage years . It was deliberate & it was intentional. The Mods have verified the facts in this video, but we will not publish it for obvious reasons (i.e. the young age of these kids). Publishing it is not an option, so please do not discuss the same. Thanks to the OP for sharing the video with us. Last edited by GTO : 29th January 2019 at 14:38. Feeling horrible for the owner. This is shocking to say the least. Owner's loss will be paid by the parents. But I am thinking about the parents of these kids. 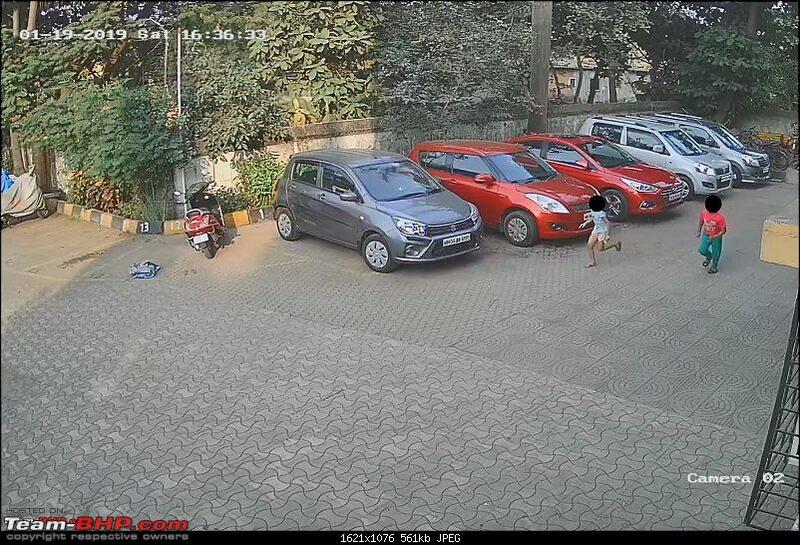 If the parents are conscientious, they will be heart broken that their kids can do such a thing. They have to think hard about how to fix this behavior, where they failed in their parenting, etc. Terrible. I doubt there's malice in the kids' intent, but what they did is bad and they should be punished by their parents for it. And the parents should bear the cost of repair as they are equally guilty. Someone deliberately edited the initial CCTV footage to delete some frames. Now, the kids didn't do that, did they? Apparently, The kids did it playfully. No known could have asked them do in public with CCTVs. I am glad all are safe. I request the OP's friend to ask for compensation with parents. They would be realizing the mistake. How tremendously heart breaking is this. 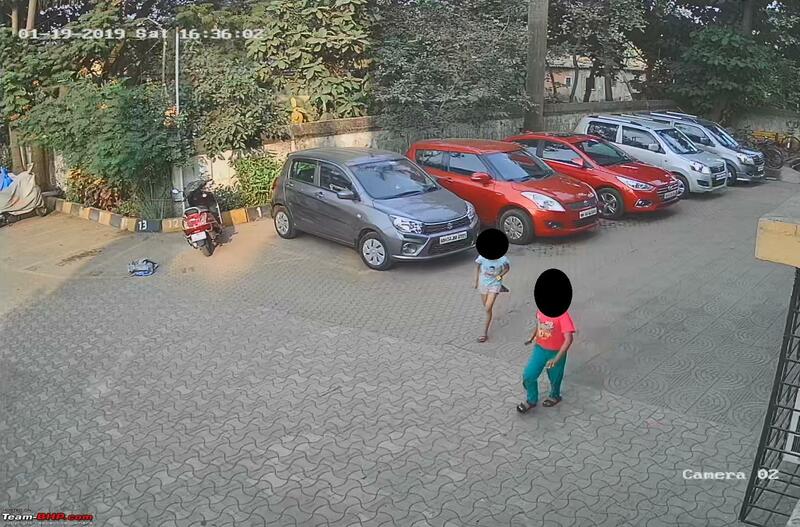 Hopefully the kids can be counselled quickly and effectively out of this incident and out of such behavior. Both, the owner of the car, and the parents must be shaken. They have to think hard about how to fix this behavior, where they failed in their parenting, etc. Add to that, all the rotten garbage that kids have access to on TVs, and mobiles. 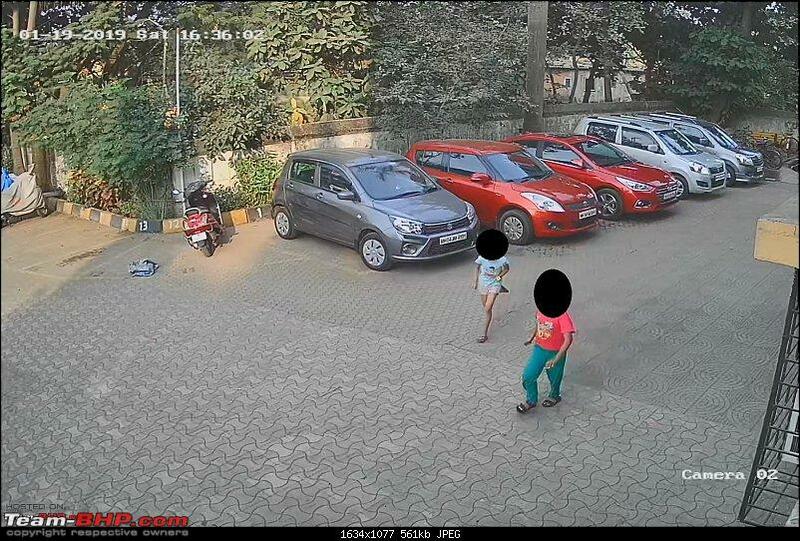 You probably have seen the footage so you'd know but I shudder to think: a) why the kids did this, b) how they pulled it off, c) whether this (the choice of car) was targeted or just randomly picked. Yeah, I too failed to notice anything in kids' hands that could have caused the fire so easily.